Get recipes and ingredients sent right to your doorstep with meal delivery services. Review and compare the top meal delivery plans and enjoy quality meals conveniently sent to your home. With Home Chef meal delivery, you can easily cook all your favorites while also trying a variety of new and exciting recipes. Each week, members can choose 16 recipes that are delivered straight to their home. These meals include flexible options for different group sizes and dietary preferences, and members can change their orders on a weekly basis. Home Chef does not charge shipping fees for deliveries over $45, but shipping will cost extra for orders under $45. Each day of the week, members of Home Chef receive 16 meal options. Customers can take the week to choose their meals or use the recommendations from Home Chef. The menu has a range of meal options with different calories amounts and flavors. The quality of the food depends on the recipe, and of course, the individual. Overall, Home Chef does have many tasty meal options, though some customers find the basic meals to be bland. Although they cannot guarantee completely vegan meals, the menu does have vegetarian options available. They also offer gluten-free and dairy-free options. Home Chef delivers their meals across the United States, “from coast to coast” on Tuesdays through Fridays. Although Home Chef doesn’t deliver to all parts of the country, those interested can inquire if delivery is available where you live. 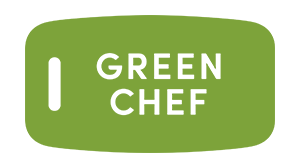 The Home Chef meals arrive in fully-recyclable cardboard boxes, bottles, and jars. Customers have the convenience of deciding to cancel or skip a scheduled weekly delivery. Home Chef makes it easy to select the amount of food for two, four, or six people. Members can also create their own dietary profile making it easy to order according to meal preferences. Settings include omnivore, meat, seafood, pescatarian, and vegetarian, as well as options like low calories and low carb. Meals arrive sealed and pre-portioned with directions for preparation and plating clearly lined out. All in all, Home Chef makes an affordable option compared to other meal delivery services, especially for those who order for groups. Customers don’t have to pay the $10 shipping fee for orders of $45 or more. Home Chef meals start at $7.99 per serving. In addition, Home Chef delivers smoothies and fruit baskets costing $4.95 each. All customers enjoy free shipping for weekly orders of $45 and up. That ends up equaling about $59.70 for a meal that serves two people. Customers can get in touch with Home Chef by phone during regular business hourse. Home Chef also has lots of helpful information in their online FAQ with a convenient search bar.